God Help the Girl plays to the prejudices of anyone who expects the worst from a long-delayed debut film written and directed by Belle and Sebastian's Stuart Murdoch. It is twee, it is whimsical, it is as delicate as a fresh bloom in a howling storm. And yet, it also has charm and sincerity on its side. There are joyous moments that lift the spirits and even bring a tear to the eye. It is a film that grows in your affections. The beloved Gregory's Girl and calculatedly casual nouvelle vague frolics constitute a large part of the inspiration for a film that also serves as a dreamy, woozy love letter to Glasgow. Adored by the camera and the director, Eve (Emily Browning) has the bob of Louise Brooks and the dress sense of Annie Hall. Battling back from depression and chronic anorexia, she is asked, 'Do you ever think of writing your feelings down?' Her feelings do gain expression in songs and awkward dances that erupt spontaneously in cramped rooms and the great outdoors. 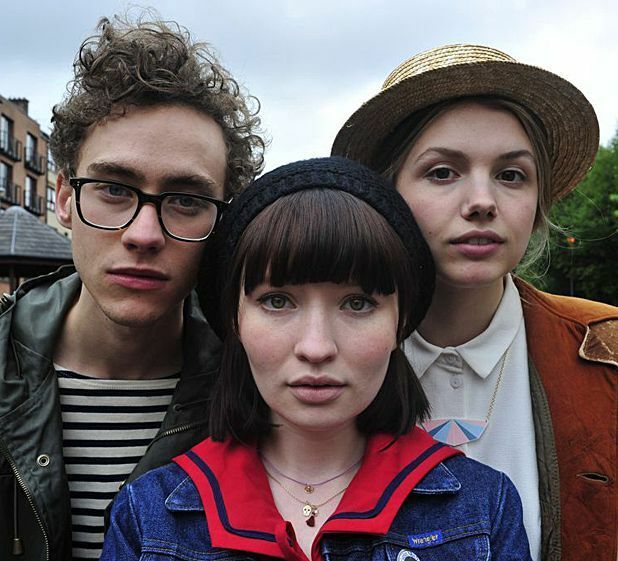 Eve's dream of being in a band and making music is nudged towards reality when she meets guitarist and musical purist James (Olly Alexander) and they subsequently befriend Cass (Hannah Murray). Hopes, romantic longings and giddy possibilities offer the chance of a hard-won happiness. Cinematographer Giles Nuttgens creates a warming vision of a Glasgow summer that stretches across a glowing Barrowlands and a casual boat trip along the canal. The film looks lovely and becomes something of a fairytale. It risks curling the toes of non-believers but wins you over in the end by wearing its heart so boldly on its sleeve. Selected release from Fri 22 Aug.
Eve (Browning), battling her way back from depression and chronic anorexia, starts to write songs as a way of dealing with her feelings. The first film written and directed by Belle and Sebastian's Murdoch is a twee, whimsical love letter to Glasgow which, luckily, has charm and sincerity on its side.